It’s Caturday, and Grania reminded me that I need to put up a felid post so that the streak remains unbroken. 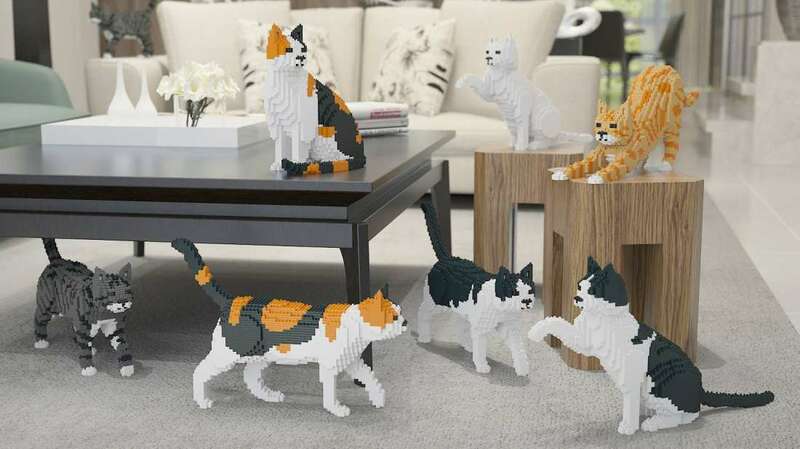 If you’re into Legos, Skeptical Kitten reports and advent of Lego Cat Kits, which aren’t cheap: $66. Gomez is the Chihuahua mix and Morticia the tuxedo kitten. After being rescued, they became inseparable in the shelter and now they’re looking for someone to take both of them. It could be YOU! Saver of Souls Pet Rescue, a local rescue in Va Beach, Virginia, learned about their plight and couldn’t bear the thought of them being separated. The two furry friends depended on each other to thrive. The rescue immediately offered to take both in and help them find a home together. “Our rescue stepped up to the plate. We couldn’t bear to separate these sweet friends,” they shared with Love Meow. Would you like this pair? 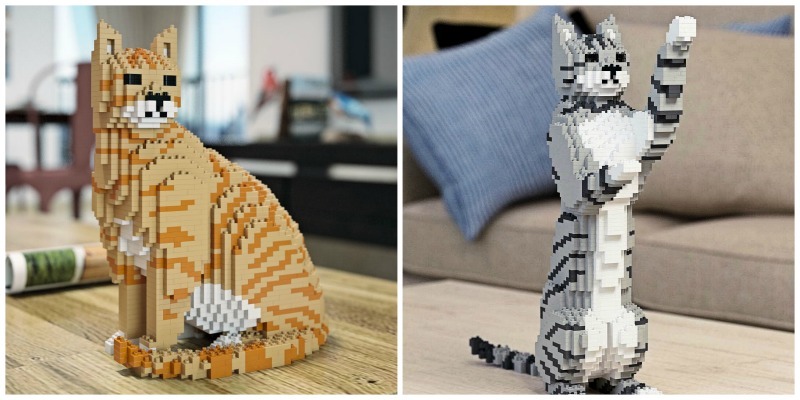 From TechCrunch we get a report of Nybble, a robotic “open source” cat, whatever that is (I’m a computer ignoramus). Here are the details, and a video is below. This appears to be for computer geeks rather than ailurophiles, as it’s no substitute for the real thing, but it is a challenge to programmers! A Polish mountain climber who recently scaled his country’s highest peak was surprised to find a domestic cat waiting for him at the very top. 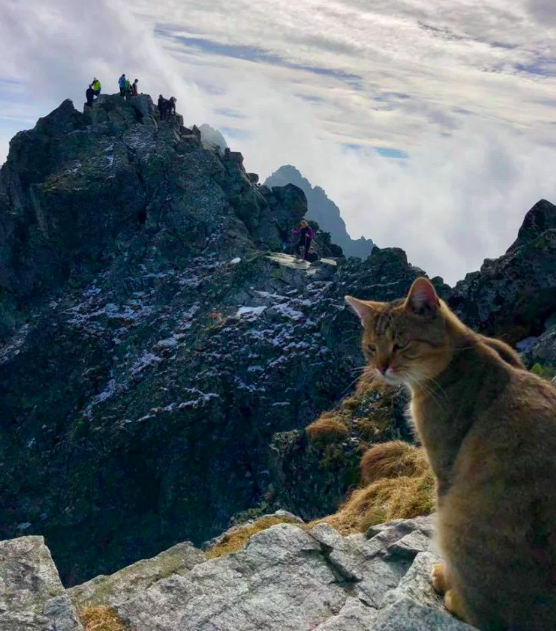 Wojciech Jabczynski couldn’t believe his eyes when he reached the top of the 2,500-meter-high Rysy mountain and spotted a ginger cat nonchalantly licking its paws. No one knows exactly how the feline got to the mountain top, or why, but Jabczynski suspects it may have climbed up from a small tourist hut under the peak. Surprised by its presence there, the experienced climber took out his phone and took some pictures and recorded a video, just to make sure people believed him when he told the story. This entry was written by whyevolutionistrue and posted on November 10, 2018 at 12:30 pm and filed under Caturday felids. Bookmark the permalink. Follow any comments here with the RSS feed for this post. Both comments and trackbacks are currently closed. Morticia & Gomez, have been adopted together, as is fitting. 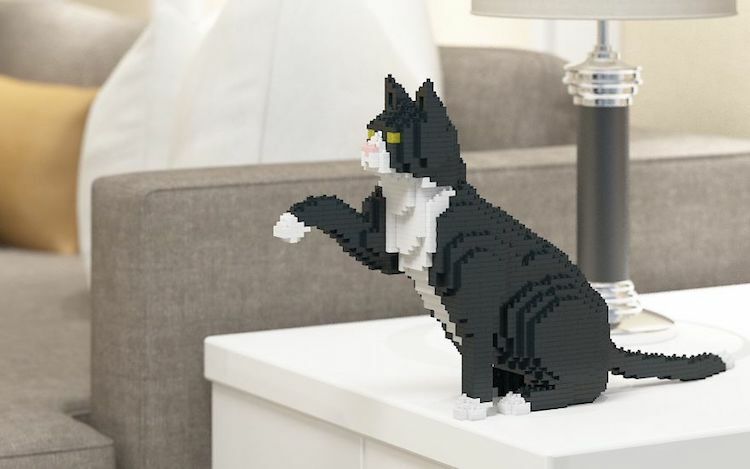 Building block cats are JEKCA, not Lego©, but the price is actually good. 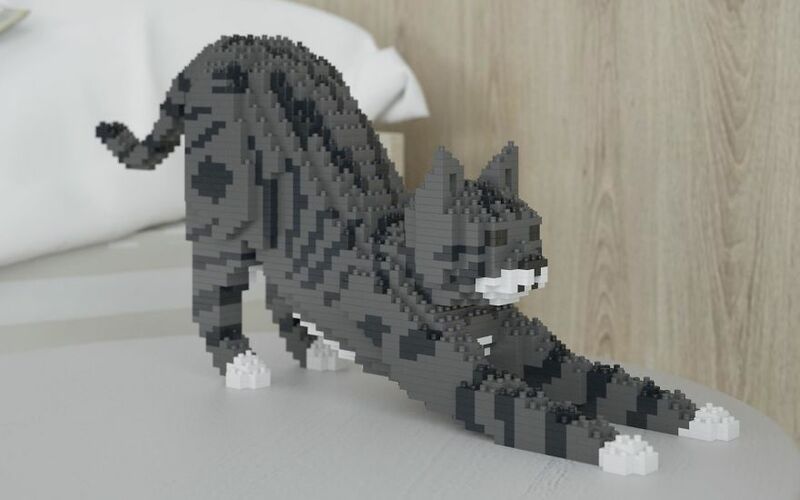 My cat is obsessed with chewing on small Lego bricks, so none are ever knowing allowed to be free-range, for both parties sake. I am not convinced he wouldn’t try swallowing them. I’d love to see Robot Wars with things like Nybble, rather than boring wedges or boxes. Gotta say that I like my cats alive, composed of flesh and blood. Open source means that the code is able to be altered and shared under an open source copyright. Usually code is hidden and protected. This is the opposite. Many agreements required that changes to the code are shared. This is a good and bad thing for companies but it usually results in really great software. Open source may result in really great software but, as with most things, it really all depends. Sometimes an open source project is the result of an abandoned closed-source project. Sometimes companies build something and it doesn’t work out (no market, technical issues). Rather than just delete the work, they make it open source. They reason that someone might find a use for it and, regardless, they get brownie points in the community. Of course, no guarantees are made about the quality of the software. Even project that start life as open source may not be good quality or well-supported. Many programmers that want to pursue some hobby project release it as open source. They have visions of attracting hundreds or thousands of developers to work on it. Of course, most projects never go anywhere and, as such, exist in a random state of completion and quality. It’s true about the variability of open-source projects but then, if you don’t make it available, you’ll never know if anyone else is interested. Obviously in the case of the robotic cat, open-source is the only way to go since all those interested will want to play with its coding. The other big plus for open source is, you don’t (by definition) have to worry about copy protection or unauthorized copying. All the complications that have to be put into Install disks to ensure that the program is only installed once and is deinstalled before the disks can be used for another installation, etc, becomes irrelevant. I am all for open source but just want to warn people that working with it can sometimes be a lot more work than its makers might lead one to believe. As a software company veteran, I cringe when someone suggests open source implies quality. Some open source projects are very high quality but most are not. The open source community likes to paint a picture of thousands of developers poring over the code looking for bugs. Most developers prefer to create new things, not fix someone else’s code. Perhaps one of the biggest problems with open source software is that a project’s developers often think of their audience as other software developers, not end-users of their product. They don’t write user manuals and other documentation because they fail to see the need (“our software is so intuitive”) or they plan to get to it “someday”. Failing that, “they can just read the code”. Of course, open source is free so there’s that. Caveat emptor! I’d say from a corporate perspective, the biggest issue with open source is the licensing. Corporations want to alter the code then keep it as part of their own IP, which is against the licence. Not if it’s under the GPL, which is the most commonly used license. IF you distribute modified software THEN you must also distribute the source code. If you just want to use your modified code in-house, then you don’t. If you used a closed-source program then you don’t get the source code anyway. If you write your own software to run under e.g. Linux, then you can license your own software any way you like, as with any operating system. The GPL has no effect on that. Yeah but often you want to modify ans distribute but not share. We had to have a review of any open source stuff we used for that reason and were discouraged from using it. Well, as a home Linux user for 20 years, I have to agree that documentation is lacking from some applications – but there’s always the Internet! Other applications are extremely well documented. It’s not as if Windows apps were all that good either. And if one application isn’t doing what I like, there’s frequently another. As for allegedly ‘intuitive’ software, I recall getting a new laptop for my father (in his very old age), it had Windows 8 on it. As a long-time XP user at work, I just needed to install two programs for him. Rude shock. This thing reduced me to screaming at it, I almost threw it out the window. I have never come so close to doing physical violence to a computer… My father (who could just manage XP) was never going to be able to use it. I took it back to the supplier. And I can try all this for free. If I totally wreck my operating system I can reinstall – for free – or try another flavour of Linux. This requires about ‘power user’ ability level, I’d say. Anyone who is capable of managing style sheets in MS Word or writing macros in Excel would be capable of it. With projects like this, most likely the designs for the parts (as for example, files suitable for a 3d-printer, or laser cutter) are also “open”, for modification and re-use. Hardware and software go together. In contrast, think of that robotic Sony thing called an Aibo, which I believe is still around. Yes the hardware would also be open source. I once wanted an aibo. I figured I could take it with me to work and have it go get my print jobs. The classic book explaining and defending open source software is “The Cathedral and the Bazaar”. It’s contents are nicely summarized on Wikipedia here. That’s a good summary of the philosophy. In practice, as a user, the great thing is the simplification resulting from the absence of convoluted expedients to protect against unauthorised copying. That and the fact that I can usually try it for free and I haven’t wasted money if it doesn’t do what I wanted (a virtue it shares with shareware). The rescued cat and dog pals are dear, and shouldn’t be separated. Don’t tell Hili about the cat on the mountain or she might feel bound to find him and give him an existentialist lecture. But La Principessa would surely send a messenger — Cyrus. To the plains-dweller, there are a surprising number of mice etc on mountain tops. Something to do with the food debris left by climbers, particularly on busy peaks – which that one was. It’s probably a seasonal lifestyle – with predators following them. I wouldn’t be too worried about the cat on the mountaintop. It got up there, I expect it can get back down again. Rysy is apparently not difficult in summer. The cat-dog pair are touching. I wonder how they will grow together? My guess (and hope) it that it will be a lasting bond. I’ve usually had both species simultaneously, and though they were nothing like Morticia/Gomez buds, there have been several combinations that enjoyed and sought out each other’s company. My current (blind) cat Winston gets along nicely with my 2-year-old pound mutt, to the extent that I have to keep him from grooming her too frequently; that was resulting in too many really impressive hairballs. dies natalis = y1980 = Canadian actor and musician, Mr Ryan Gosling.